The seventh round of the Grand Prix in Tashkent demonstrated that famous “all rook endgames are drawn” doesn’t always work even on such a high level. The leader of the tournament Alexander Morozevich unexpectedly lost in the equal rook ending against his compatriot Sergey Karjakin. Shakhriyar Mamedyarov was luckier as he managed to make a draw in a slightly worse rook endgame against Kamsky. The game could have ended on favor of American player but he missed his winning chance in the critical moment. Fabiano Caruana defeated Lenier Dominguez to take the lead together with Sergey Karjakin. Both leaders will face each other tomorrow in the eighth round. In the sixth round of the Grand Prix in Tashkent only one game was decided – Alexander Morozevich won against Leinier Domninguez and regained the sole lead in the tournament. Boris Gelfand and Peter Leko got promising positions playing against Shakhriyar Mamedyarov and Wang Hao respectively, however, all other five games finished peacefully. After the sixth round all the fight seems to be ahead as all players keep quite short distance between each other. In the fifth round of the Grand Prix in Tashkent Ruslan Ponomariov, Rustam Kasimdzhanov and Gata Kamsky won their first games in the event. Ruslan Ponomariov overplayed the sole leader Alexander Morozevich and Karjakin, Kasimdzhanov, Mamedyarov, Caruana joined Russian player on the top of the table. Peter Svidler had good chances to join the group of leaders but didn’t succeed to win the position with advantage against Leinier Dominguez. Two other games Karjakin – Leko and Mamedyarov-Caruana were drawn. 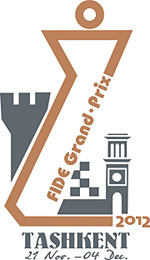 In the fourth round of the FIDE Grand Prix in Tashkent, three games were decisive. In each round there has been great fighting chess and once again the elite of the chess world spared no prisoners ! The rating favorite of the tournament Fabiano Caruana managed to win his second game in a row whilst Wang Hao outplayed Gata Kamsky in the deep endgame and Peter Svidler won his first game in the tournament against former FIDE World Champion Ruslan Ponomariov. The central game of the fourth round was clearly between the sole leader of the tournament Alexander Morozevich and the in-form Shakhriyar Mamedyarov, who was in second place, and ultimately finished in a draw. As a result, Morozevich still keeps leading with half a point ahead of Shakhriyar Mamedyarov, Sergey Karjakin, Wang Hao and Fabiano Caruana. In the third round of Grand Prix in Tashkent two players succeeded to win their games – Fabiano Caruana outplayed Gata Kamsky and Shakhriyar Mamedyarov defeated Peter Svidler. Chinese player Wang Hao was very close to gain the first victory in the tournament but failed to find the winning idea in the opposite color bishops endgame. 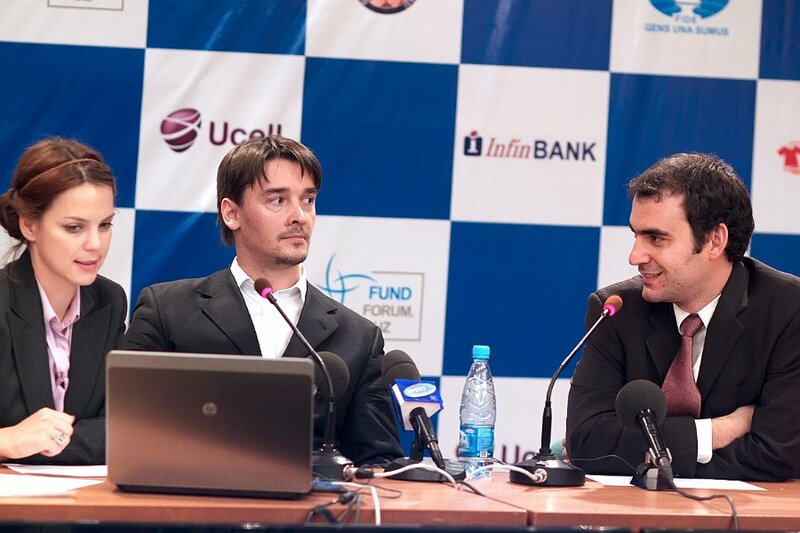 Alexander Morozevich made a draw against Boris Gelfand and keeps leading in the tournament.